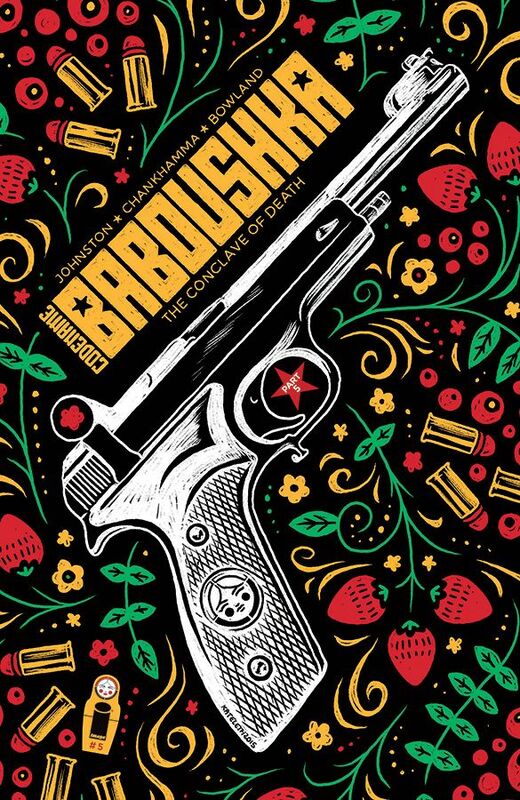 Writer Antony Johnston (THE FUSE, The Coldest City, Daredevil) and artist Shari Chankhamma (SHELTERED, The Sisters' Luck) will conclude the first story arc in their ongoing modern pulp spy thriller series CODENAME BABOUSHKA this March. 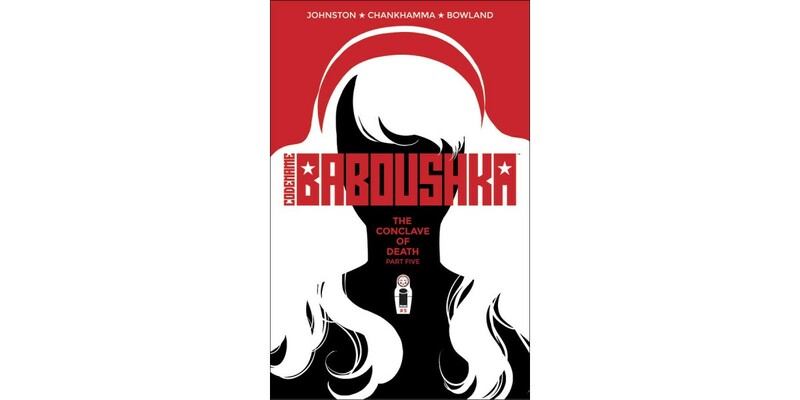 Previously in CODENAME BABOUSHKA: THE CONCLAVE OF DEATH, the enigmatic Contessa, the last heiress to a noble Russian line (and secret deadly assassin! ), was blackmailed by the U.S. government to carry out dirty jobs even the C.I.A. can't sanction—like “persuading” a retiring crime lord to sell her his secrets. In CODENAME BABOUSHKA: THE CONCLAVE OF DEATH #5, the gauntlet is thrown down! 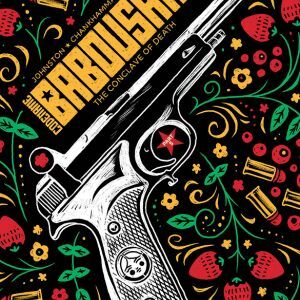 Everything explodes…or at least, it will if Baboushka can’t stop it. Don’t get in her way! "The Conclave of Death ends with a bang—and, unsurprisingly, several deaths!” said Johnston. “But long after the smoke clears, Baboushka will be forever changed. The future is full of guns, high-kicks, and yet more secrets to be revealed..."
CODENAME BABOUSHKA: THE CONCLAVE OF DEATH #5 Cover A by Shari Chankhamma (Diamond code: DEC150575) hits stores Wednesday, March 9th. CODENAME BABOUSHKA: THE CONCLAVE OF DEATH #5 Cover B by Kate Leth will also be available Wednesday, March 9th. Final order cutoff deadline for retailers is Monday, February 15th.